It didn’t take India long on Day 5 to wrap up proceedings and win one of their most famous test matches not only in Australia but also on foreign soil. Mauling Australia by 137 runs in the third test match of the series, India recorded their 150th test win, reaching the symbolic milestone in style to take a 2-1 lead in the series. It was also the first time ever in 37 years that India has won a test match at the Melbourne Cricket Ground and their first ever win in a 26 December test on Australian soil. It took India just 27 balls to bring an end to Australia’s defiance with the bat on day 5 of the third test. After the game was earlier in the day delayed due to heavy rain lashing the ground, there were some qualms in the Indian camp after the day’s play being washed out due to showers and taking away from them a much deserving win. However, their jitters were soon calmed with play resuming after rain. Not taking much time in culminating an impressive rearguard effort by Australia’s tail, Jasprit Bumrah continued his heroics to find Pat Cummins edge which landed straight to first slip. It brought about an end to an excellent inning by Cummins, who was without a doubt Australia’s star performer in the test match. In a losing cause, he had bowled an excellent spell of 9-99; accompanying it with a fourth innings score of 63 to thwart an Indian win till day 5. His wicket saw India just take a further 5 balls to pick up Australia’s final wicket with Ishant Sharma catching Nathan Lyon in his crease to pick up his edge en route to Rishabh Pant. The wicket won was celebrated in great joy by the Indian team. 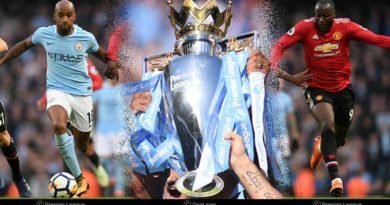 It was a mammoth effort by the side, a buoyant performance that had seen them pick up in their kitty an elusive win, one that dismisses all notions of them struggling as a traveling side. 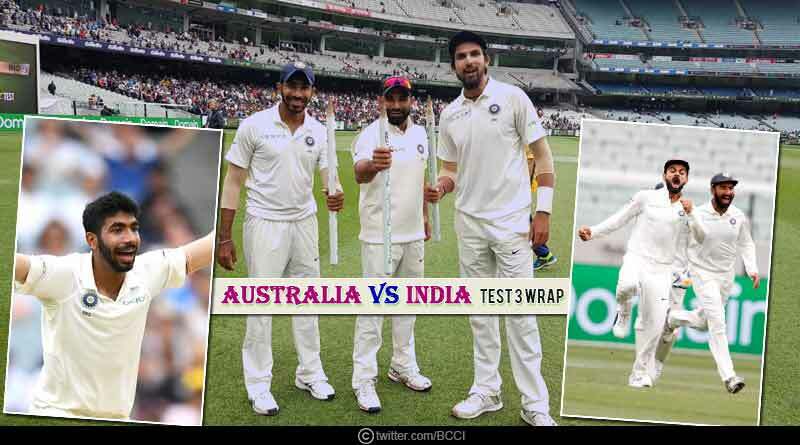 Our Australia vs India test 3 wrap sees us give special mention to Bumrah who claimed 3-53 in the second innings for a match haul of 9-86 and was deservedly named the man of the match for one of the most impressive performances by an Indian pacer on foreign soil. Jasprit Bumrah: It is a great feeling! Be it boxing day, be it any other day, I always wanted to play Test cricket and I made my debut against South Africa in January this year. We train very hard and we are used to bowling a lot of overs in Ranji cricket, so the body is doing well. For more articles like Australia Vs India Test 3 Wrap, do Subscribe to our newsletter and follow us on Facebook, Twitter and Google+.